Are you sure you want to remove The historie and life of King James the Sext from your list? 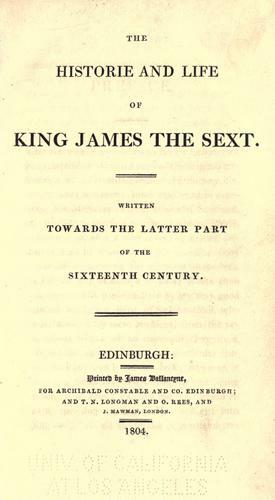 The historie and life of King James the Sext. : Written towards the latter part of the sixteenth century. 1804, Printed by J. Ballantyne, for A. Constable and Co.